Presented “Long-term biomass trends in a North Carolina Piedmont forest” at the 103rd Annual Meeting of the Ecological Society of America, New Orleans, LA. -> Recording available on YouTube. Presented “MultiEDA: An interactive exploratory data viewer for multivariate plot-based inventory data” at the Association of Southeastern Biologists 79th Annual Meeting, Myrtle Beach, SC. Adjunct Biology Professor at Shaw University in Raleigh, NC. 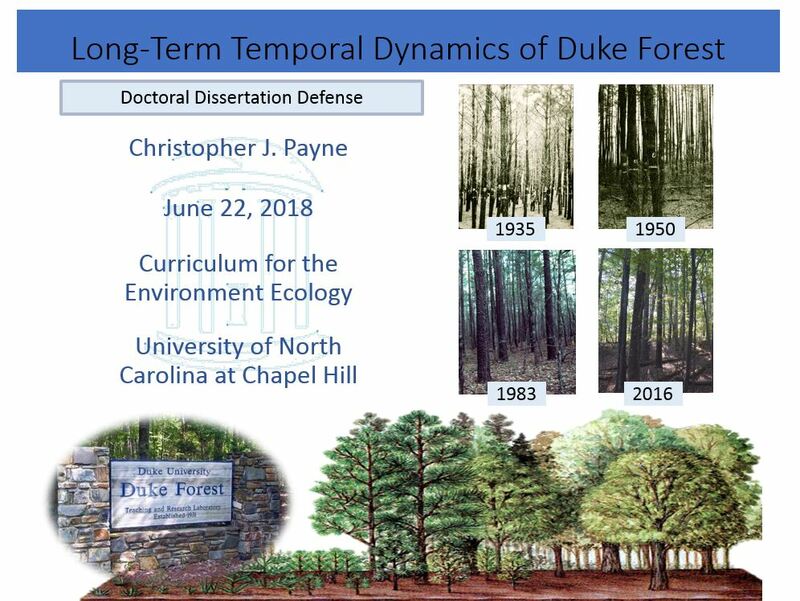 Presented “Analyzing long-term forest dynamics in a North Carolina Piedmont forest using permanent-sample plots” at the Association of Southeastern Biologists 77th Annual Meeting, Concord, NC. *NOT ELIGIBLE FOR WORK STUDY? STILL APPLY!! — VOLUNTEERS NEEDED!! Resampled Duke Forest permanent sample mapped plot tree growth data for PhD. Managed and mentored 10 volunteer undergraduate research assistants. Measured ~61,000 trees in 16.2 ha. Received a 2014 STEM Scholarship from Great Lakes National Scholarship Program (August 2014). Presented research to a public audience at the Duke Forest Annual Research Tour Dec 13, 2013. 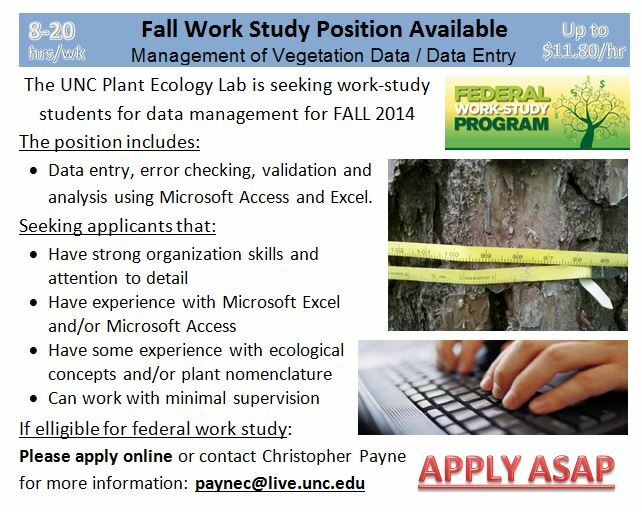 Resampled Duke Forest permanent sample plot tree growth data for PhD. Managed and mentored 7 volunteer undergraduate research assistants. Measured DBH/height of ~10,000 trees in 2 ha. Received a 2012 STEM Scholarship from Great Lakes National Scholarship Program (August 2012). Managed and mentored 2 volunteer undergraduate research assistants. Measured DBH/height of ~3,000 trees in 1 ha. 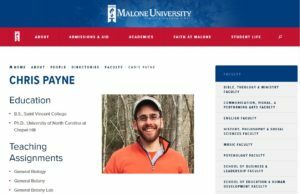 Payne, Christopher J. 2011. Bat foraging in riparian zones: responses to stream quality, insect abundance and season. Proceedings of the National Conference on Undergraduate Research, 25: 897-905.